Invisalign® treatment is a revolutionary leap in orthodontic technology that lets you straighten your teeth in a manner that is virtually unnoticeable! 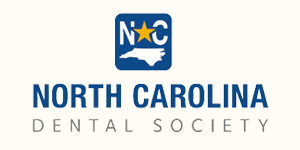 Dr. Phillips is a Gold Plus Provider of treatment with Invisalign® near Leland, NC, having helped numerous patients improve the health and appearance of their smiles with this extraordinary alternative to braces. Discretion – The clear aligners used in treatment with Invisalign® allow you to enjoy a nearly invisible way to straighten your teeth. 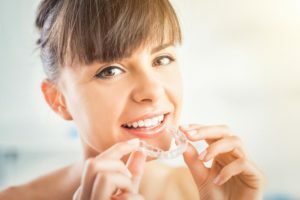 Convenience – Clear aligners mean you can eat and drink anything you want during treatment without worrying about damaging or staining your appliance. Improved Health – Invisalign® treatment’s smooth plastic aligners don’t have the many nooks and crannies of traditional braces, where bacteria love to gather. In addition, you can remove your aligners to eat, brush and floss normally, which makes it easier to maintain good oral hygiene. Invisalign® treatment is not for everyone, but Dr. Phillips can determine if it’s right for you. 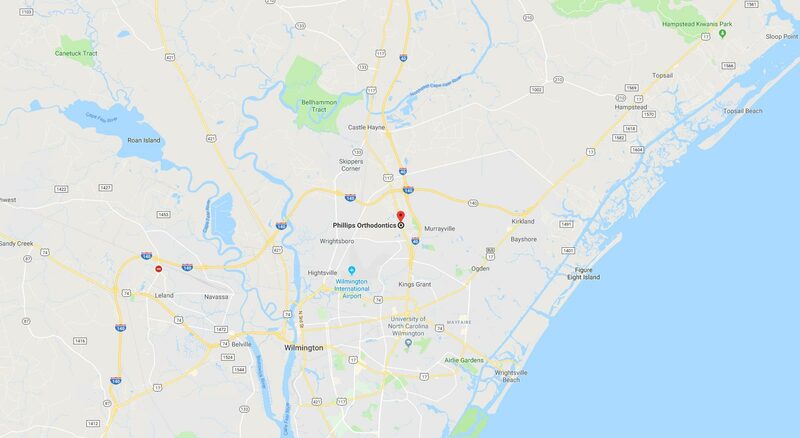 As a Gold Plus Provider of treatment with Invisalign® near Leland, NC, Dr. Phillips will work with you to identify whether you are eligible for this revolutionary treatment method. When you are ready to learn more about Phillips Orthodontics and our 5-star-rated team, click here or call 910.392.5773 to request your Dr. Phillips Smile Analysis. Your no-obligation appointment includes a review of your medical history, digital X-rays, a thorough exam, and a personalized treatment plan – a $335 value, yours FREE. During your session, our 5-star-rated orthodontist and team will take the time to answer all your questions about our treatments, our office, our flexible payment options, and anything else you may want to know about us!